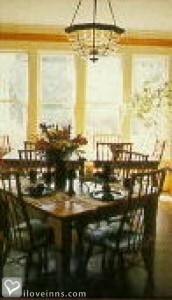 Jackson bed and breakfast travel guide for romantic, historic and adventure b&b's. Browse through the iLoveInns.com database of Jackson, Tennessee bed and breakfasts and country inns to find detailed listings that include room rates, special deals and area activities. You can click on the 'check rates and availability' button to contact the innkeeper. I 40 runs through Jackson, the center of West Tennessee.. . between Memphis and Nashville. . .represented in Congress once by Mr. Crockett before his trip to the Alamo. . .the home of Casey Jones and a one-time center for several small Southern railroads now shown in our own museum. . .a stop over for Grant on the way to Shiloh. . .the home today of many arts including a symphony and wonderful gallery . . .the college town for several universities and the location for the plant producing all Pringles and the baseball field to commenorate that aalong with other leading plants for brand-name products. By Highland Place B&B Inn.